With the gentle and often playful feedback that horses provide, you will begin to see that you are enough in the moment. Patterns and clarity will emerge that allow you to choose what you want to create both personally and professionally in your life. Leslie and the horses create an environment of acceptance and compassion that makes room for a fun and transformative experience. 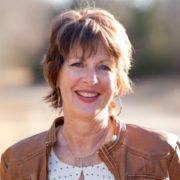 Leslie is a Certified Equus Coach, as well as Certified Life Coach, a Certified TRE Facilitator (Trauma and Tension Releasing Exercises), and holds a Master in Social Work degree.